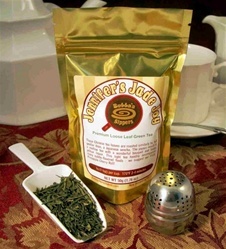 These Chinese tea leaves are roasted similarly to, but gentler than, a Japanese sencha. The joyous result is a mellow tea with a wonderful bouquet and lovely yellow liquor. This light tea handily accompanies many subtle-flavored foods - we suggest our fruity Pineapple-Cherry Roll!